I usually take stories at Politico.com, founded by Chairman of the Board of Trustees of the Reagan Libraray, Fred Ryan, with a liberal dose of salt. But the November 12 article titled "The Attacks Will Be Spectacular" caught my attention. The article, a summary and teaser for the Showtime documentary The Spymasters, chronicles the extensive and detailed warnings the Bush administration received from the intelligence community regarding imminent attacks on American soil. The first warning noted in the article came in spring 2001, when then counterterrorism chief Cofer Black and CIA Director George Tenet presented the Bush administration with a specific proposal to "end the Al Qaeda threat" that included covert and military operations. The administrations response, according to Tenet, was "We don't want the clock to start ticking." The meaning of this seemingly innocuous phrase, according to the article, was that the administration did not want there to be evidence that they had been warned of the pending danger. In the words of the Guardian (UK) Republican opposition to the Obama administration's nuclear non-proliferation agreement with Iran in the end was nothing but "scathing words." Somewhat atypically, but in keeping with the current political climate, conservatives were quick to blame the GOP establishment and leadership. Writing on CNN's web site on August 31, former Secretary of State Madeleine Albright called the Joint Comprehensive Plan of Action "a bold stroke of diplomacy, and an opportunity we must not waste." Read Madeleine Albright: Iran deal is a win-win on CNN.com. Originally posted September 11, 2012. Re-posted in the context of foreign policy noise from the Romney campaign. ... [N]eoconservative leaders who had recently assumed power at the Pentagon were warning the White House that the C.I.A. had been fooled; according to this theory, Bin Laden was merely pretending to be planning an attack to distract the administration from Saddam Hussein, whom the neoconservatives saw as a greater threat. Intelligence officials ... protested that the idea of Bin Laden, an Islamic fundamentalist, conspiring with Mr. Hussein, an Iraqi secularist, was ridiculous, but the neoconservatives’ suspicions were nevertheless carrying the day. Today, on the 11th anniversary of 9/11/2001, it's worth noting that 17 of 24 Romney foreign policy advisers served in the Bush Cheney administration. If there's one salient feature of the Bush administration it is that it generally does the opposite of what it says -- its policies are the opposite of what its rhetoric claims or proclaims. When Bush criticizes his opponents for something, it's usually a good indicator that it's something he's done or planning to do. So when Bush took the unusual step of allowing an op-ed piece to be published under his name in the Wall Street Journal, it was bound to offer some insight into administration plans, albeit indirectly. 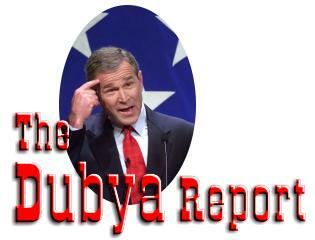 "This was a good week for the cause of freedom," Bush proclaimed in his radio address June 10, 2006. "On Wednesday night in Iraq, U.S. military forces killed the terrorist Zarqawi." Bush did not mention the 19 US military casualties, the 44 Iraqi police and military casualties, or the 321 Iraqi civilian casualties this month. He did go on to recap Zarqawi's "long history of murder and bloodshed," but understandably did not discuss the US role in hyping Zarqawi's importance within Iraq and beyond, or that coalition forces had Zarqawi in custody on at least one occasion, and released him. Beyond "Stay the Course" and "Cut and Run"
On September 29, 2005 the Center for American Progress released a report titled Strategic Redeployment, which proposed a specific course of action in Iraq, the Middle East, and beyond. Prepared by Lawrence Korb, who was an Assistant Secretary of Defense in the Reagan administration, and Brian Katulis, who held staff positions at the National Security Council and in the State Department during the Clinton administration, the proposals sought to "minimize the damage to the United States in the short term, mitigate the drawbacks of our eventual withdrawal from Iraq, and secure our interests in the long term." Read more about Beyond "Stay the Course" and "Cut and Run"
In my article "Democracy or dominion?" (recently republished in Annual Editions: World Politics 05/06), much attention was devoted to the severely impoverished civic education that impairs most Americans, and thus their democracy. Putting aside the thoughtless, often inbred, devotion of so many rightwing Republican Party stalwarts, such tenacious civic impairment constitutes the most formidable barrier preventing the impeachment of President George W. Bush.